Old captured in new is fabulous! Nice work Bill. Very nice reflection, wonderful in B&W. Your edit to b&w is perfect, well done! Nice image Bill. 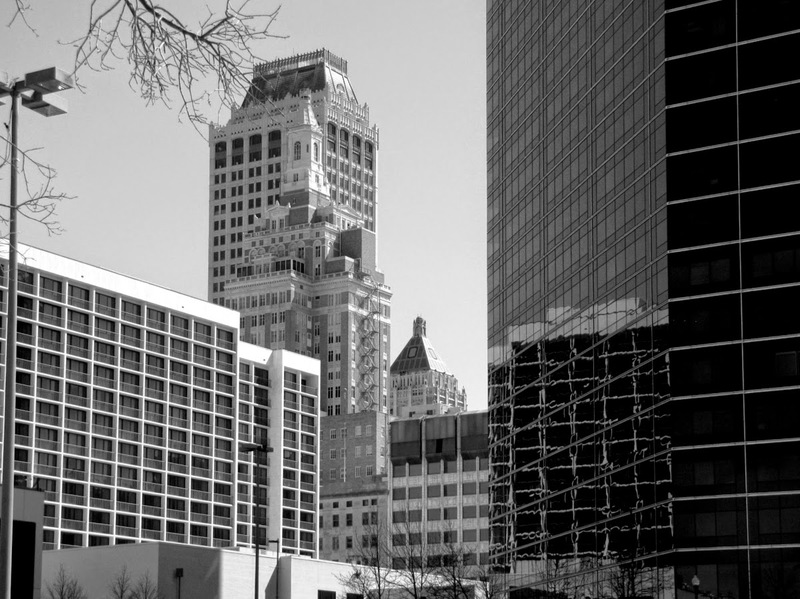 I can remember, as a youngster when the "old" architecture dominated the Tulsa skyline. I always loved the changing colored lights on the top of the Philtower. Nice shot Bill. You are very good about getting a lot into a shot with reflections. I love all those lines, and the reflections. Interesting lines. Looks so good in B&W. Wonderful in B&W! Great lines and reflections! Nice black and white composition.